The student identifies a possible career interest, locates a sponsor in a relevant occupation or business, and works out with the sponsor a sequence of activities that will provide some direct experience in the career. The mix of observation and direct participation depends greatly on the particular occupation in question, but if it become clear in your initial discussions that the sponsor sees you only as an observer, you should seek a different sponsor or occupation to investigate. Students have assisted their sponsors in a wide variety of activities, such as business, teaching, conducting laboratory tests, working in an animation department, and assisting a veterinarian – to name just a few. Students sometimes become very interested in a topic that was part of a regular Prairie course and want to learn more about the topic than is possible in the regular course. An acceptable project could be developed from almost any topic of interest, with the sponsor being a Prairie teacher or another individual competent to judge the validity of the project. Prairie students have contributed their services to a wide variety of community organizations that provide assistance to individuals with various needs. Students may participate in trips to experience a unique situation that is not available locally. Some trips are offered by Prairie faculty and vary from year-to-year. These may include trips to the Grand Canyon, France, Spain, Latin America, London, and various national parks. These trips are announced by April 15 of the previous year. Interim is scheduled for the following dates: Tuesday, May 28th – Friday, June 7th. 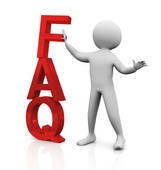 Click here to view a list of FAQ.